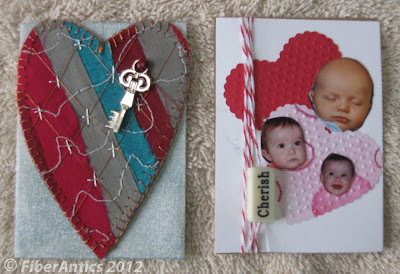 Fiber Antics by Veronica: ATCs: What's in your heart? 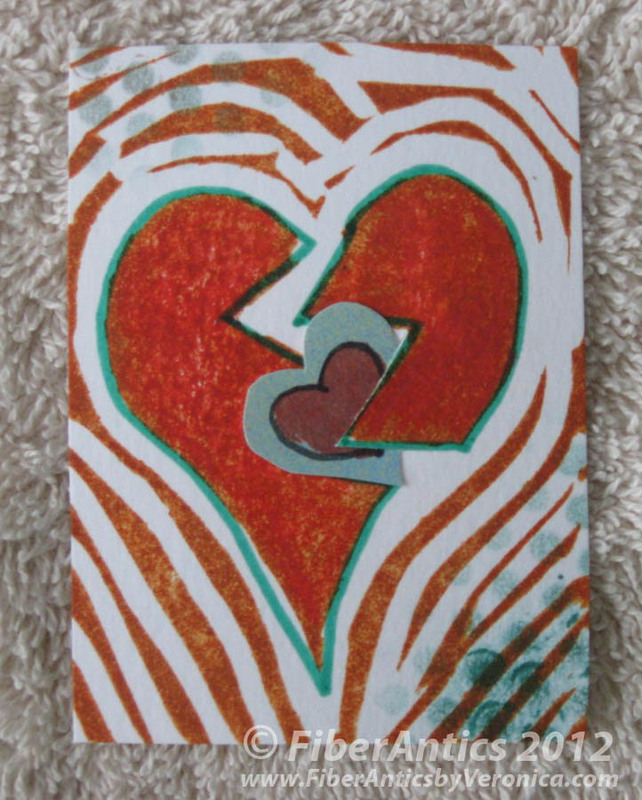 Special people and places, creating memories, and time spent doing something that inspires and brings you joy is what the September Artist Trading Card (ATC) theme—"What's in your heart? "—is all about. During the month of September, especially during the Jewish Holidays, this ATC artist lights candles in memory of her parents... remembering them with great love. Dancing makes my heart happy (ATC below left). My husband and I make a date to waltz to a special song that we danced to at our wedding reception. Our anniversary is coming up on October 14 and we will dance to it again. Quilting and other creative endeavors (below right) brings joy to this ATC artist as she pursues her creative side now that she is retired from a career in accounting. Left: "Dancing makes my heart happy." 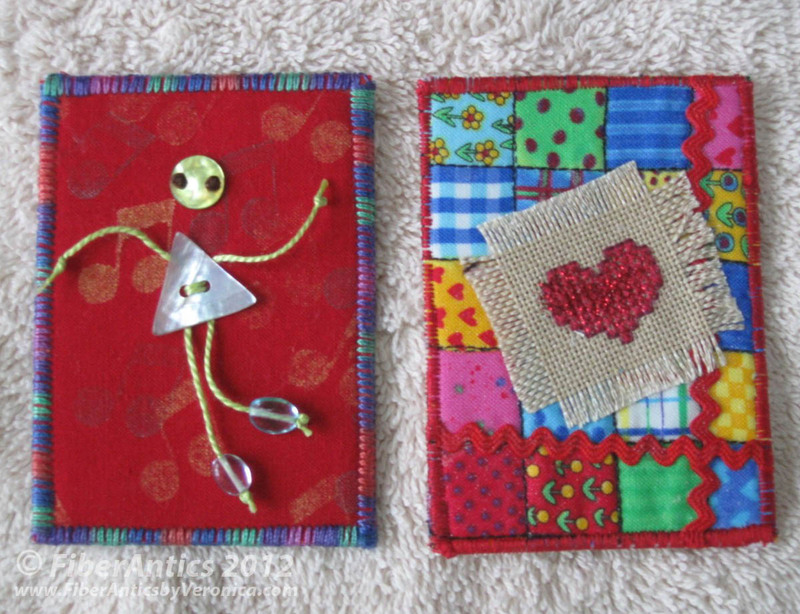 Right: "What's in Your Heart... well Quilting, of course!" 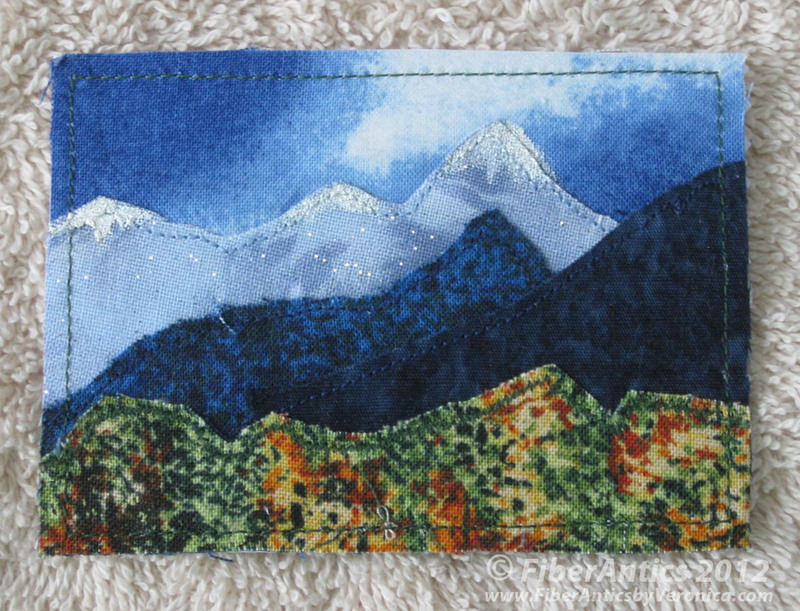 You can just feel the mountain breeze and smell the great outdoors looking at this ATC (below). This ATC artist reminisces on times spent in The Tetons from the Idaho side. 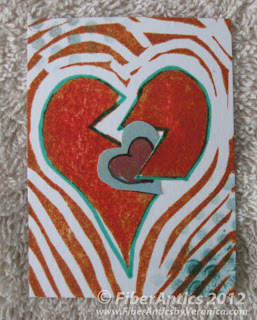 Another ATC artist created a patchwork heart (below left) that opens to a lovely reminder that simple moments make great memories. Left: "The Seasons of my Life." Right: "In My Heart: My grandchildren"
Cherished memories fill the heart of this ATC artist. 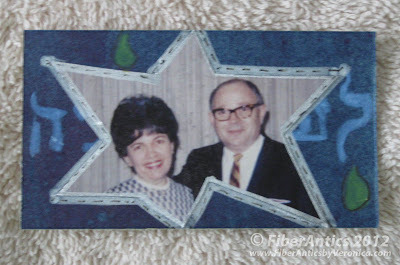 She loves spending time with her grandchildren (above right). Here is the inside of this fold-out ATC. 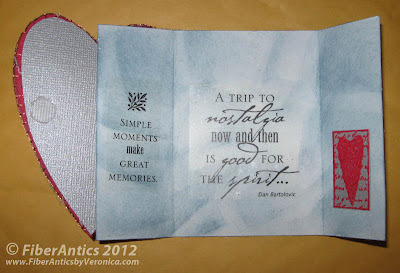 "A trip to nostalgia now and then is good for the spirit."